Born in England on 3 February 1842, he came to Canada as a non-commissioned officer with the Sixteenth Regiment. On the Regiment’s being recalled he remained at Montreal. He came west with the Wolseley expedition in 1870, serving as quartermaster sergeant of the Second Quebec Battalion. When Wolseley returned east, Bedson remained in charge of prisoners at Lower Fort Garry. In May 1871, he was appointed Warden of the Manitoba Penitentiary, which was located at Lower Fort Garry until 1876, and from that date at Stony Mountain. In 1885 he was given charge of the transport service for the North West Rebellion. He was married twice. In 1873, he married Jemima Alexandrina Murray (1856-1886), daughter of Chief Factor Alexander H. Murray, with whom he had five children: Ellen Mercy Bedson (1874-1948, wife of John D. McMurray), Menotch Bedson (c1878-? ), Samuel Lawrence Bedson (1880-1881), Kenneth Campbell Bedson (1881-1957, father of Derek R. C. Bedson), and Samuel Lawrence Bedson (1884-1969). In 1890, he married Florence McTavish (?-? ), a daughter of Chief Factor McTavish. He was an avid sportsman, a member of the Manitoba Rifle Association, President of the Stony Mountain Curling Club, a member of the Masonic Order and Manitoba Historical Society, and Rector’s Warden at Victoria Anglican Church, Balmoral. He is considered to have established the first golf course in Manitoba, near Stony Mountain Penitentiary. 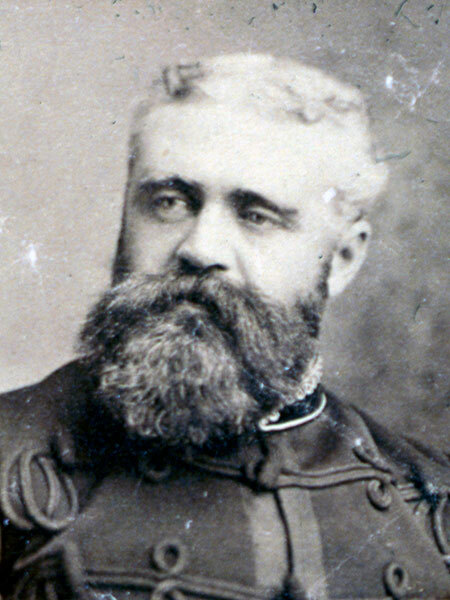 Following retirement in February 1891, he went to Ottawa as an Aide de Camp to the Governor General and to serve on the Alaska Boundary Commission. He died suddenly on 17 July 1891, and his body was returned to Winnipeg for burial in the St. John’s Cathedral Cemetery. He is commemorated by Bedson Street in Winnipeg.